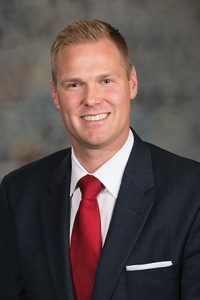 Nebraska lenders would be allowed to charge higher interest rates on installment loans under a bill considered by the Banking, Commerce and Insurance Committee Jan. 29. Lindstrom said the bill would allow Nebraska lenders to remain competitive with out-of-state and online lenders. Ashley Krings, a district manager for OneMain Financial, testified in favor of the bill. She said the number of registered installment loan lending locations in the state fell from 39 in 2005 to 10 last year, but the number of Nebraskans unable to borrow from banks or credit unions because of bad credit histories is unchanged. There was no testimony against the bill. The committee voted 6-0 to advance LB188 to general file.